Time Escape is a franchise with locations in Vancouver, Edmonton and their latest addition, Seattle. We booked three rooms back to back and given they were 45mins each at $35/room, we were expecting some great escaping. The lobby looked great and the location was walking distance from the Space Needle. "The Vanishing Act" is consistently highly rated by escape room enthusiasts and we headed over to Seattle to play it for ourselves. We were five people, which turned out to be a good number and most of us had some decent escaping experience. The story centers around the magician, Noximillian and the disturbing disappearances of his assistants. His latest assistant, Casey, asks for your help in uncovering the truth behind what's going on and sends you into Noximillian's private dressing room while he is performing on stage. The immersiveness of The Vanishing Act was second to none. This escape room had an actress that help set up the story well and also provided hints with one of the best (seamless) hint mechanisms we've experienced to date. "The Study" is the newest room for the much talked about location,"The Basement". The storyline revolves around a cannibalistic killer who captures you and locks you in his basement. After you escape "The Basement", you end up on the first floor of the house and have to find your way out of "The Study". While the continuity of the story is great, we played them in the reverse order and it was perfectly fine. The BIG difference with this room and others of a similar "Psycho killer" theme is the immersiveness and in-game actors which make for an amazing escape room. For those easily scared - be warned! This room is not for the faint-hearted ... but this is mainly because it is so very immersive - impressively so. Our group of half boys - half girls did well to upkeep those gender stereotypes with many a high-pitched scream emanating from the girls while escaping this room. The Basement is the original room from this chain - rooms such as The Study (see review) and The Boiler Room follow on from this story. In The Basement, your team is kidnapped, taken to an underground lair, and threatened with death by notorious serial-killer, Edward Tandy. You have 45 minutes to escape a terrifying and gruesome death. 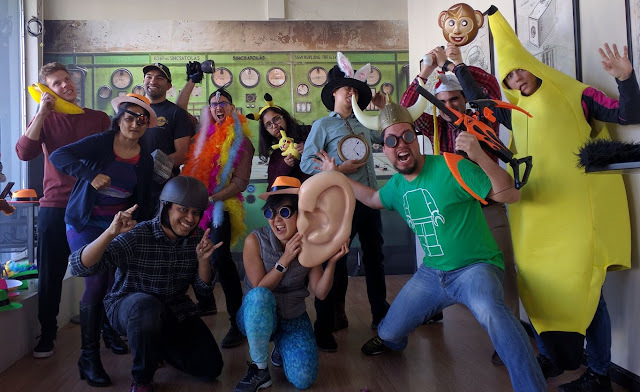 Escapology is an escape room chain with 7 different rooms in 12 cities (soon to be 21 cities) and it was one of the places that seemed really polished in terms of production value. 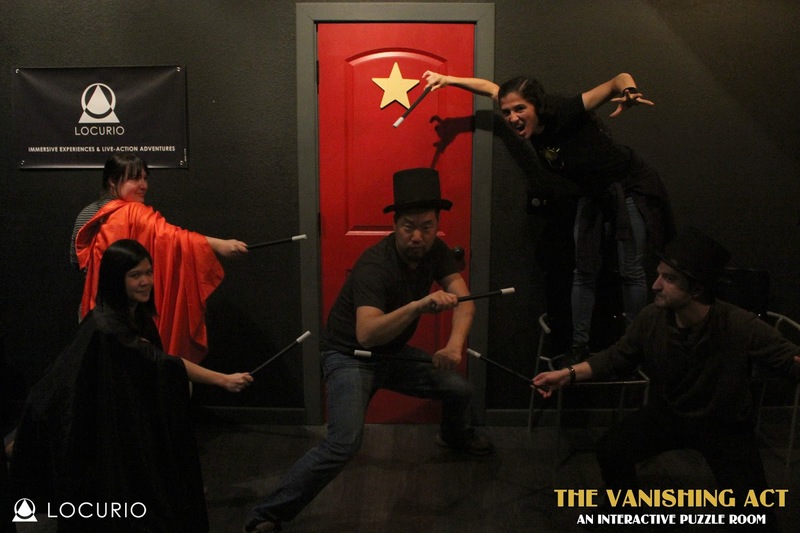 We played two rooms at Escapology, the "Budapest Express" and "Shanghaied" with four people. The first thing that you notice when you walk into the lobby (at least in Vegas) is the beautiful decor. The seating area was large, comfortable and lavish and while it's not that important, it's a nice to have while waiting between games. Today's submission comes in the form of a guest blog post from one of Randy's regular partners-in-crime, Mio. Being an Aussie and being back home on vacation from my normal residence in California, I was stuck between a rock and a hard place when my Dad's 70th birthday outing went awry. And what does one do when one needs a birthday present in a pinch? An escape room of course! So off I went with the parents for their first ever escape room. Kuma Escape's "stage 3" room, Detention, opened in May 2016 and even though it touted the highest escape rate (20%) out of their three rooms, it was actually the most difficult one. Keep in mind that "stage" simply means room and you don't have to do "stage" one or two to play the third one. It seemed that a lot of enthusiasts played this room and given that the record was only 45min, it was no surprise that this was a challenge. We were six people in the group with two people who were new to escape rooms.